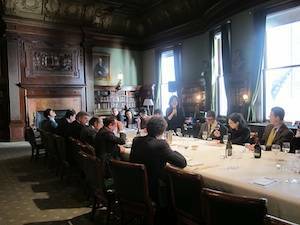 During a breakfast at the Metropolitan Club, Veronafiere presented to the American press the wine produced to commemorate the 150th anniversary of the Italian Unification. Countless events, memorabilia, conferences and gadgets, at least in Italy, have been created to commemorate the Unification of the Country, and one of the most creative ideas comes from the wine industry: UNA. UNA is the name of two wines, one red and one white, created by Assoenologi (the wine producer association) and Veronafiere (the company who manages the Verona expo, where Vinitaly is held). From each of the twenty Italian regions, two grapes were selected, one to be used for the white, one for the red. 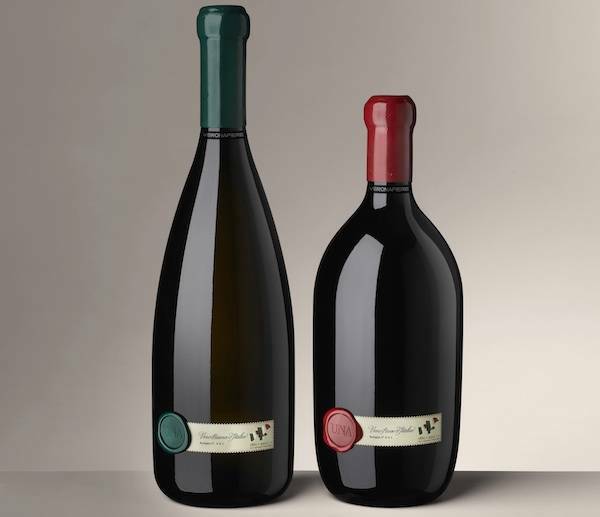 These bottles, therefore, are produced from twenty different grapes each, symbolizing a virtual unification of Italy, and each one is numbered. Bottle number 1 was presented on Sunday 17 in New York to the President of Italy Giorgio Napolitano. 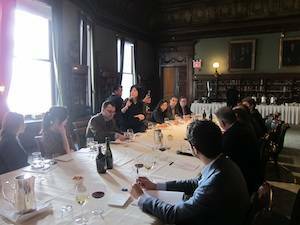 On the morning after, March 28, a tasting session for the press was held at the Metropolitan Club, feet away from Central Park. At the session were also present the high ranks of Veronafiere, who came up with the idea. This wine is a complete tribute to united Italy. The use of grapes from all over Italy is just one of the symbols present in this product. The name UNA (one) is how united Italy was called at the beginning of the 19th century, when its unification was still a dream. The calligraphy used for the tag-line “Vino Bianco/Rosso d’Italia” (White/Red wine of Italy), a denomination that purposefully deprives the product of a specific geographical indication, is the calligraphy commonly used in Italy during the mid 1800s. Thy typographical font used for the notes on the bottle is Bodoni, a style designed in 1818 by Piedmont-born Giambattista Bodoni. Last but not least the design of the bottles is reminiscent of the famous still lives of Morandi. During the lecture some time was spent to illustrate the importance of Verona and Vinitaly for the Italian economy. The position of Verona itself screams for a florid economy: it is placed in the middle of Europe, is crossed by the two main North-South and East-West European highways and is serviced by superior logistic infrastructure. The Verona Expo was built on these solid premises. Managed by Veronafiere, the expo is famous mainly for the wine show Vinitaly, but is actually active in other departments as well. The construction industry is present with events such as Marmomacc; the alternative energy businesses have Solar Expo; and the most important equine exhibit in the world is held there. Actually, the Verona expo was born as a horse show, and built upon this bucolic vocation with the final result of becoming the host of the most important enological show in the world: Vinitaly. This year will be the 45th edition of the famous wine expo, and many things have changed since its beginning. What was originally a show targeted toward professionals of the field is now trying to reach more and more into the consumer slice of the market. “Vinitaly 4 You” is the latest initiative pushing in this direction. 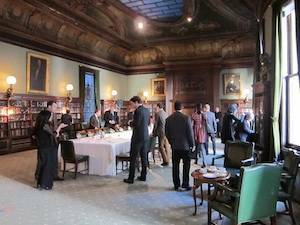 It is a consumer-targeted spin-off of Vinitaly held in the center of Verona, in the Gran Guardia palace. Another new addition to the program is the “Bollicine” (sparkling wine) department: given the increasing importance of sparkling wine in the industry (now Italy exports more sparkling wine than France), Vinitaly is now dedicating an entire section to this area. Vinitaly is not only about tasting the best wines on the market, it also aims to figure out the health, situation and trends of the Italian wine industry; in order to satisfy this request many surveys are commissioned every year. One of the most striking, this time, seems to indicate that Italians do not drink as much wine as they used to: the consumption per person seems to have declined by 50% this year. Yet another contradiction of the Bel Paese.